Online casino software providers are the companies behind casino games. There's a fierce competition in the iGaming business and these slot suppliers keep pushing out new games with astonishing quality and pace. Discover the best casino software providers on Bojoko! A well-made casino software review helps you pick the game suppliers worth your time and money. In the game supplier reviews, you can read the comments and see the ratings made by our active community. 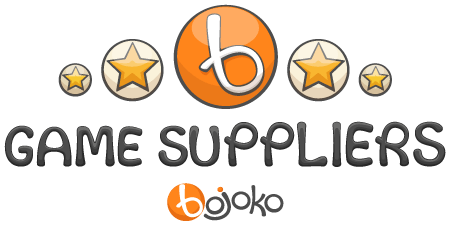 When you log into your Bojoko account, you're able to write your own comments and rate the suppliers to help others make a smart choice. You can also create online casino reviews in a similar way. Remember follow your favourite game suppliers to learn about new games and promotions. Why are casino software companies so important? Casino software companies are the firms that create online slots and other casino games. They constantly innovate and experiment with different ways to delight their fans and get more players to try their new slots or live casino games. Although there are big differences in quality and volume between online casino software companies, the fact that there are plenty of them means you have always something new to try. Some suppliers shamelessly recycle their old games and copy ideas from their competitors. However, this setup provides a valuable contrast to the really innovative products. The term casino gaming software refers to a platform running the casino games, specific to each company making and publishing the games. Casinos usually have games from many different suppliers, so they're running a different online casino gaming software for different games. Casino game software is not to be confused with casino platform. In addition to games, each casino has to deal with bonuses, money transfers and customer support. All these functions are tied to a the casino platform. Some casinos have created their own platform; others are part of a bigger network or buy theirs as a turnkey solution. For example, all Nektan casinos use the same platform. We have recently added casino platforms on Bojoko. When you happen on a casino with a style you like, check out its casino platform to find sites with a similar style. To a large extent, picking the best casino software is a matter of personal opinion. However, we have taken the bold step to measure and quantify the gaming experience. The very best online casino software should score full marks on all of these six aspects. Use them to compare the top casino software providers. The game's design is how the game looks on your screen. Poor design can make even the most brilliant concepts tank, while an exquisitely designed game has the ability to hide weaker aspects and still provide a fantastic gaming experience. Design preferences vary amongst players. However, outdated designs and flawed graphics will stick out in the same way that fresh, imaginative designs capture your attention. Game supplier's games are exceptionally designed and visually engaging. The appearance and visuals of the games are of a good standard. Game supplier's execution of game graphics and design is neither particularly enticing nor off-putting. Significant number of aesthetic issues with the games. Poor graphics are the major reason you choose not to play this supplier's games. Gameplay includes game features, user interface and overall technical playability. Players expect a high level of usability from today's casino games. A game should be built in a way that makes playing a pleasant experience. There's a big difference between a user interface that looks mediocre and runs poorly to a highly polished, responsive game. Every element works and runs smoothly, the game's interface is extremely easy to use and very appealing. 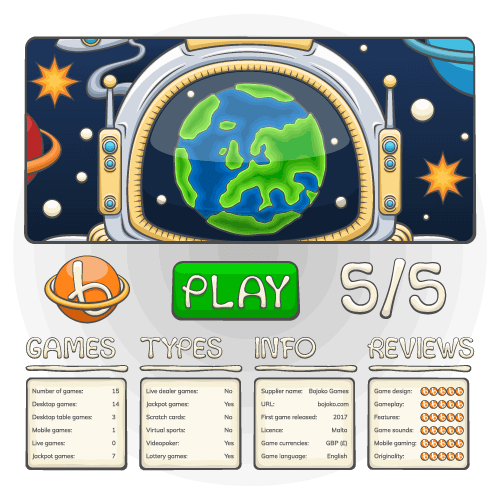 Game interface is player-friendly and makes for a pleasant gaming experience. Gameplay and user interface are acceptable but could do with some improvement. The functionality of the game is slightly impaired or not fully convincing. Many user interface issues with the games. Very poor usability that makes it difficult to play. Mobile games are a prerequisite for a comprehensive gaming experience. No player wants to find out that their favourite casino game isn't available on mobile or suffers from a host of problems when it comes to mobile performance. Today's standards demand that game suppliers sport an attractive package of mobile games developed specifically for mobile devices. The game should be fully dynamic and run smoothly, with the difference between its desktop version unnoticeable or vastly improved in the best cases. Exceptional mobile gameplay, diverse selection of games for mobile devices. Missing or defective elements from otherwise acceptable mobile gaming, such as low number of games for mobile devices. Mobile gaming has obvious technical shortcomings that hamper the gaming experience. Very primitive mobile gameplay lacking significant features found in the desktop versions of the games. Game supplier offers no mobile games at all. The in-game reward system is crucial to keeping players satisfied and entertained throughout the course of the game. Bonus game features can be anything from free spins to re-spins, bonus games, random wilds etc. All of these special features will alter the outcome of the game and present bigger windows of opportunity to win cash. Generally, players prefer more varied, original and thematic bonus game features. However, badly explained, hectic and unclear bonus features may create a confusing game experience and be a turn-off for many players. Bonus games have original standout features offering a thrilling complement to regular gameplay. Games have great bonus game features overall but they lack in originality or ability to entertain. Bonus game features look common and are of average standard. Very few bonus game features without any entertainment value. Game supplier's games have no bonus features. Sound design and game audio have become an essential part of the casino game experience. Audio that complements the gameplay immerses the player fully into the experience. Lacklustre music and sounds leave a negative impact instead. Game music and sounds help orient the player within the narrative. With good-quality accompanying audio, players can follow the action easily and engage effortlessly with the game interface. Audio also entertains by itself and creates a more enjoyable gaming experience. Brilliant use of music and sounds that complement and elevate the gaming experience. Game supplier uses music and sounds well. Game music and sounds need improvement. Games have very basic sounds and might lack music completely. Games offer a very poor sound environment. Originality in gameplay can never be underestimated. Games that introduce new ideas to the playing field win over recycled concepts and mediocre themes. Formulaic games don't stray far from the prescribed format for the genre and don't attempt anything new. One of the core principles underlying gaming is the thrill of new rules and systems designed to excite and engage players. Players are swayed by original games and you'll always be looking for fresh perspective when you try out a new casino game. Pioneering game supplier with its own distinguished style, pushing the boundaries of game creation. Game supplier occasionally comes up with new creative games and game features that are a success. Game design, audio and bonus features are quite easily recognisable, but the games offer more or less the same experience every time. No serious effort to differentiate from competitors, follows safe, previously established patterns set by itself or other game suppliers. Creates bulk games with no new features or own unique style.